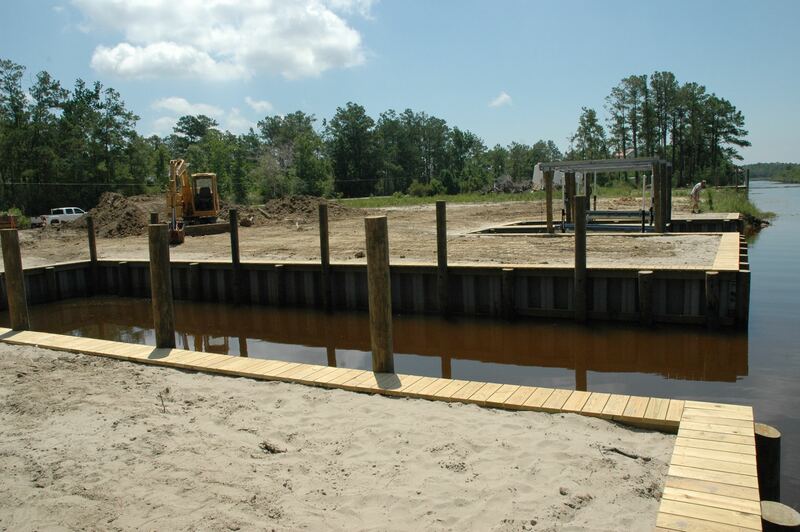 Gill’s Crane is the premier waterfront contractor in South Louisiana and Coastal Mississippi for building and repairing bulkheads. 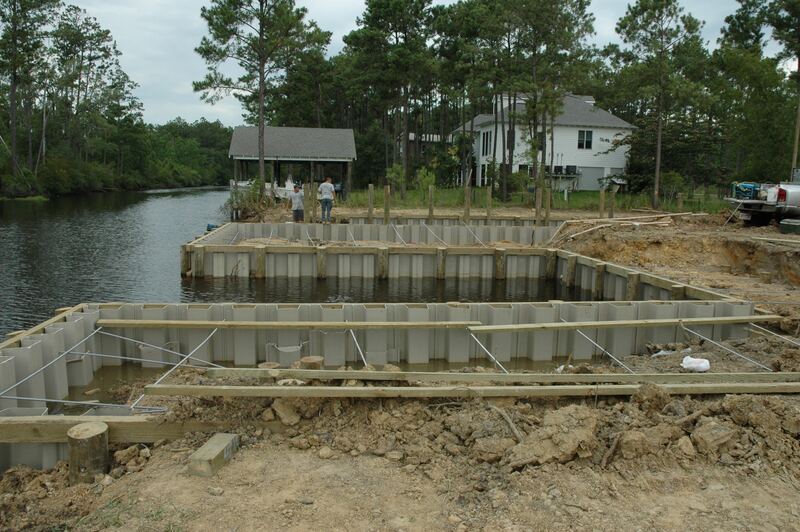 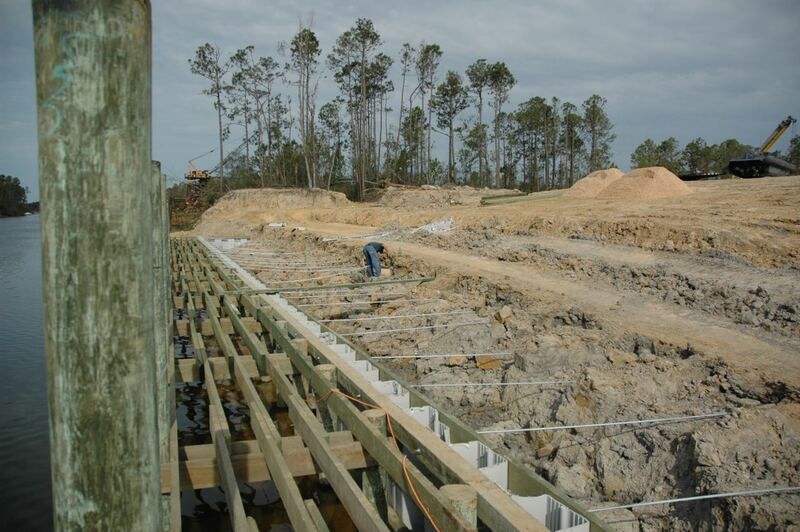 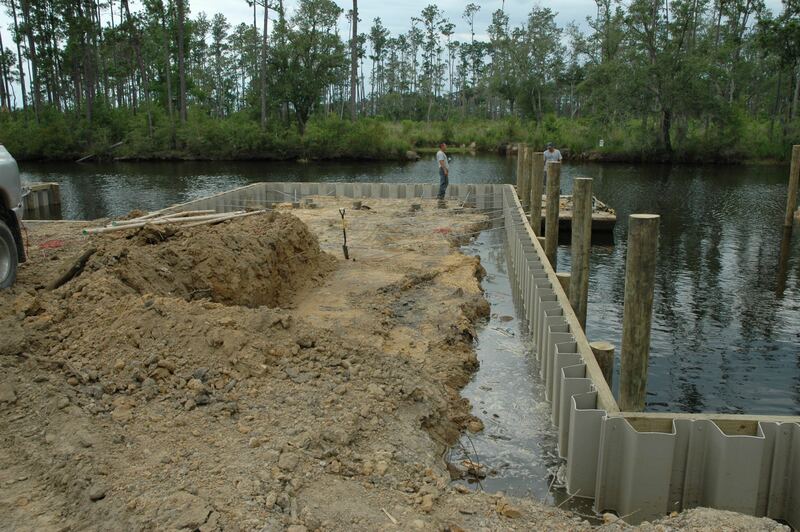 A bulkhead is the sheeting and piling system designed to reduce erosion and the impacts water on a piece of property. 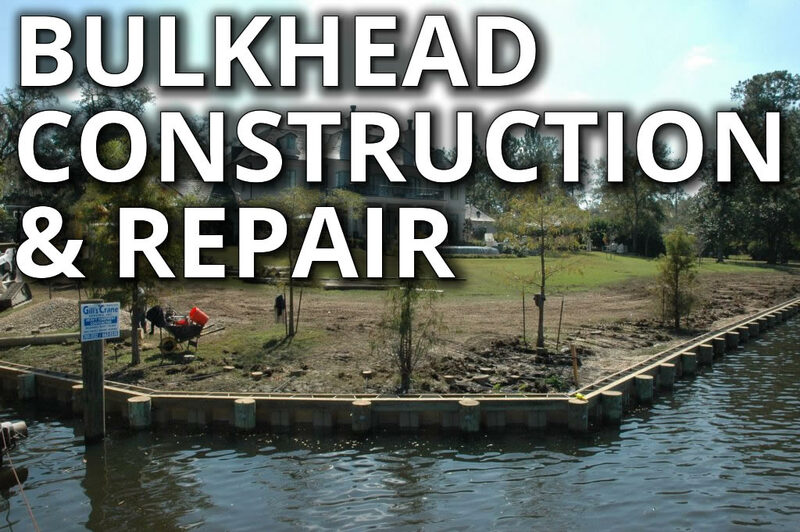 Bulkheads can be damaged by storms or need repair after sometime. 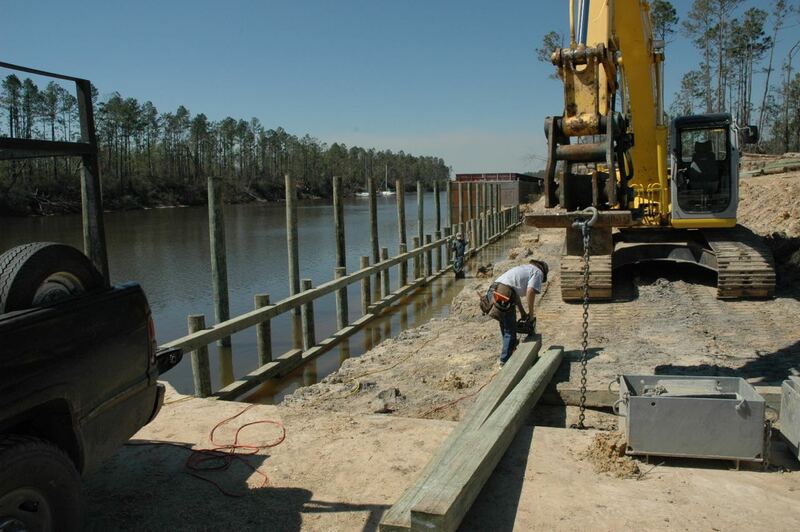 Gill’s Crane has been building and repairing bulkheads since 1973. 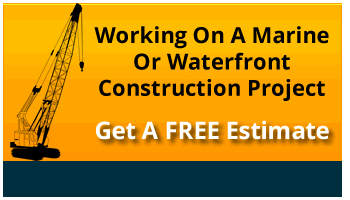 We will be glad to provide and estimate and get your project under control and off to the right start. 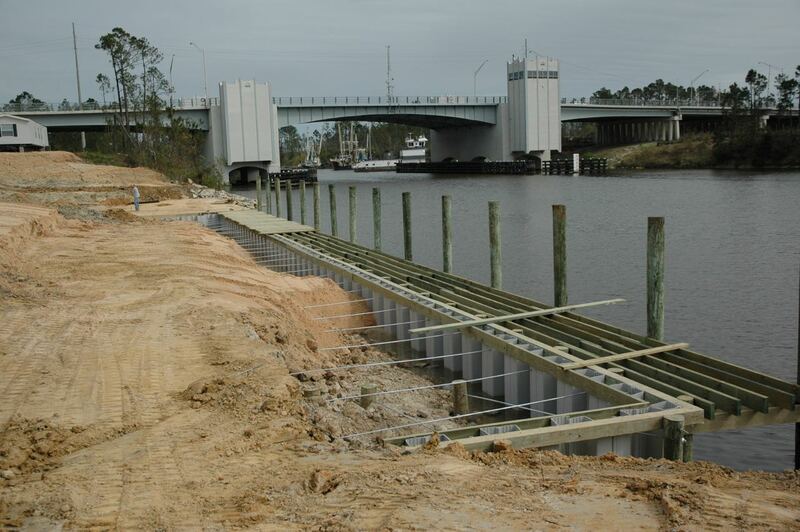 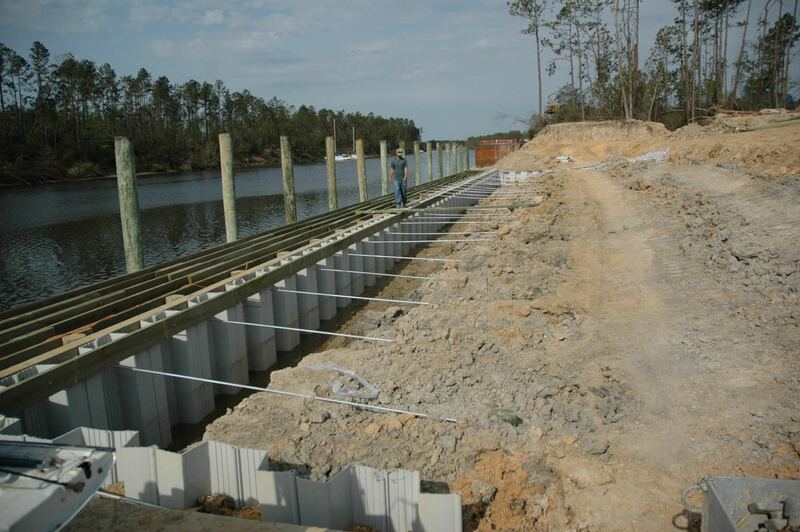 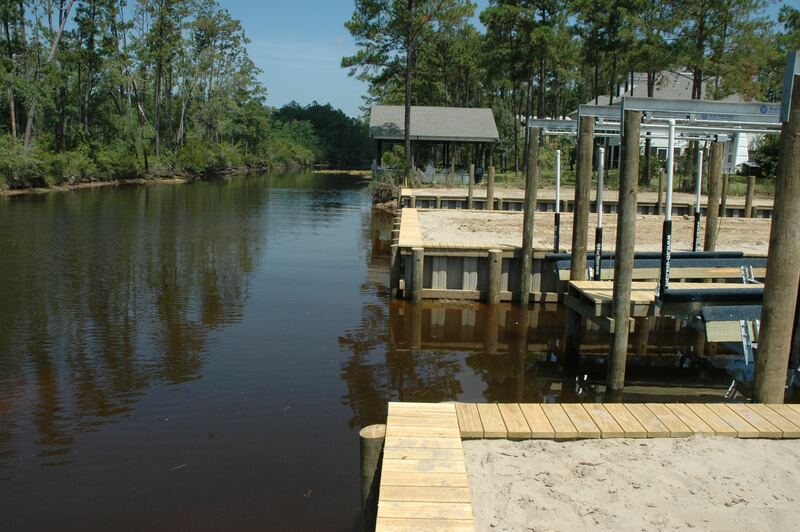 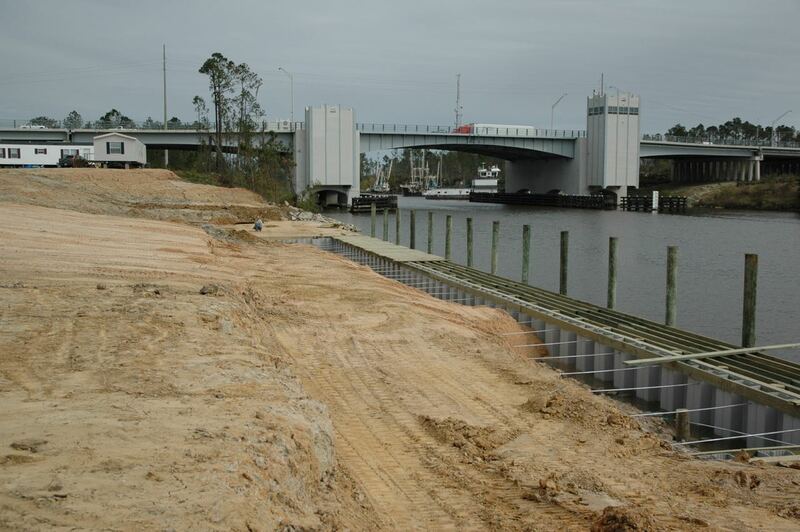 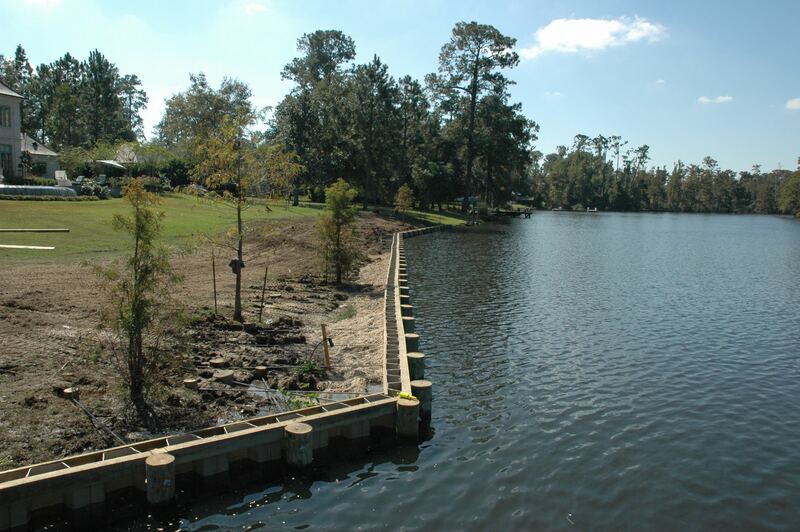 We are licensed and insured to do the kinds of construction needed when building a bulkhead and driving the piers. 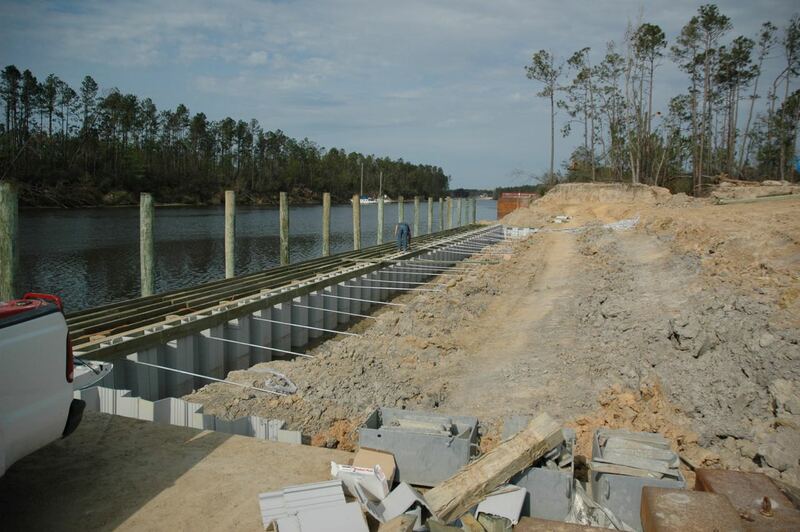 We can also work on adding a boat dock to the bulkhead system. 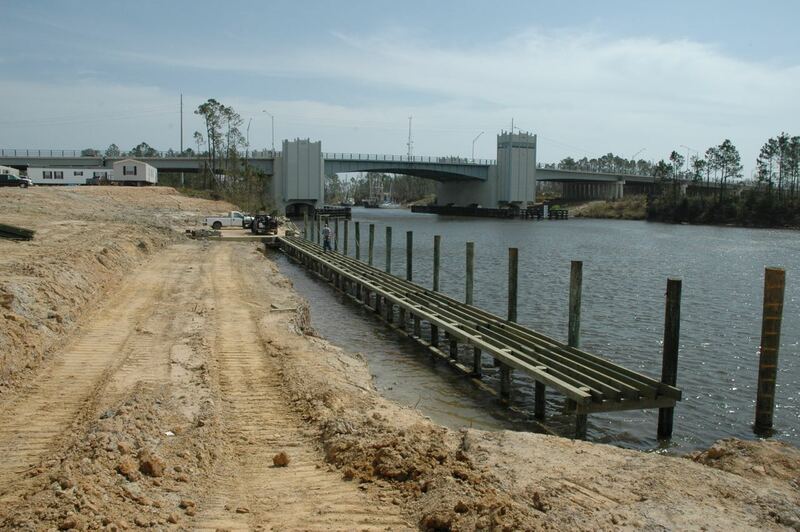 Gill’s Crane Services works all over the Louisiana and Mississippi coastlines. 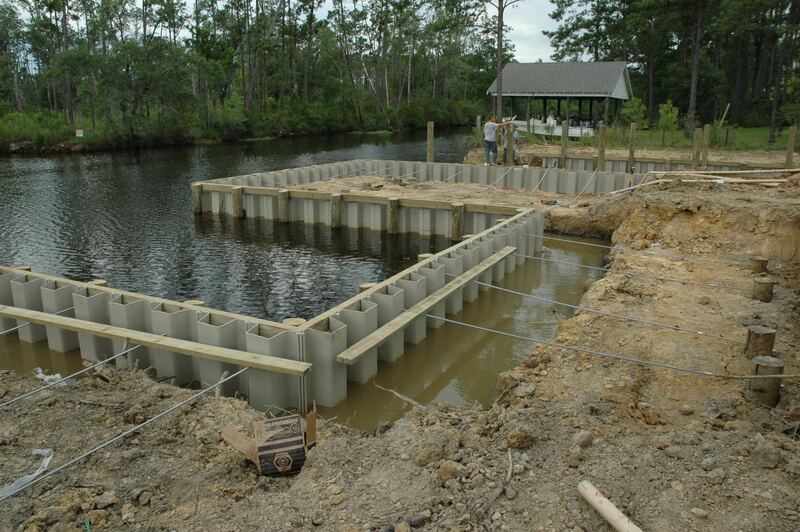 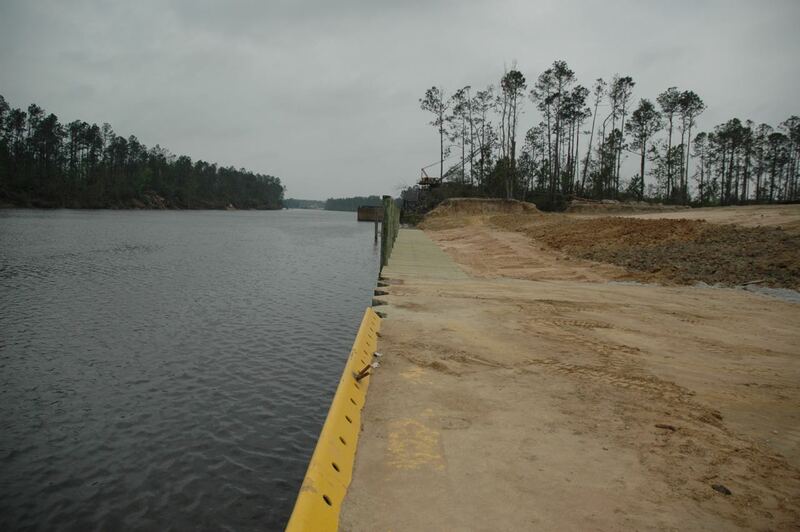 We specialize in marine construction services and are located in Slidell, Louisiana since 1973. 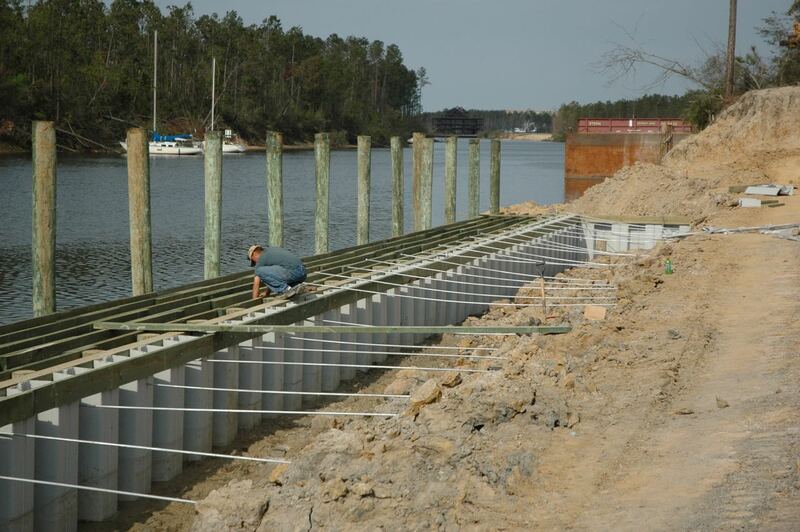 Need a reliable marine contractor in one of the communities below? 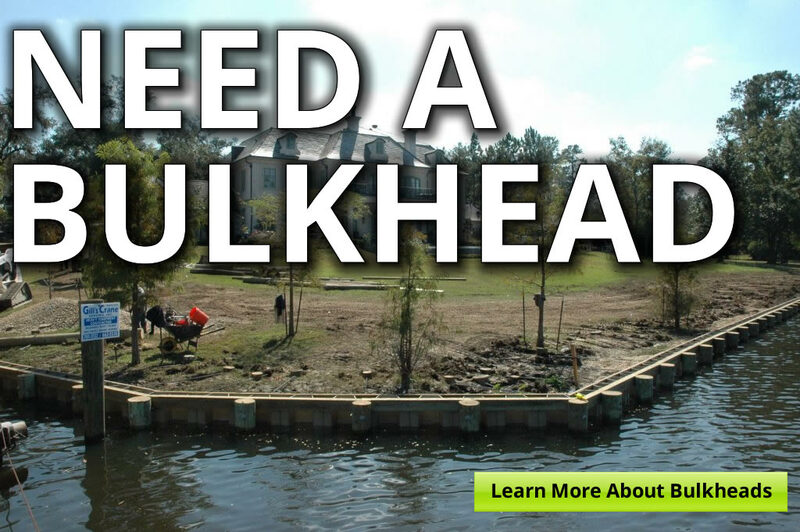 Give us a call or fill out a request information form. 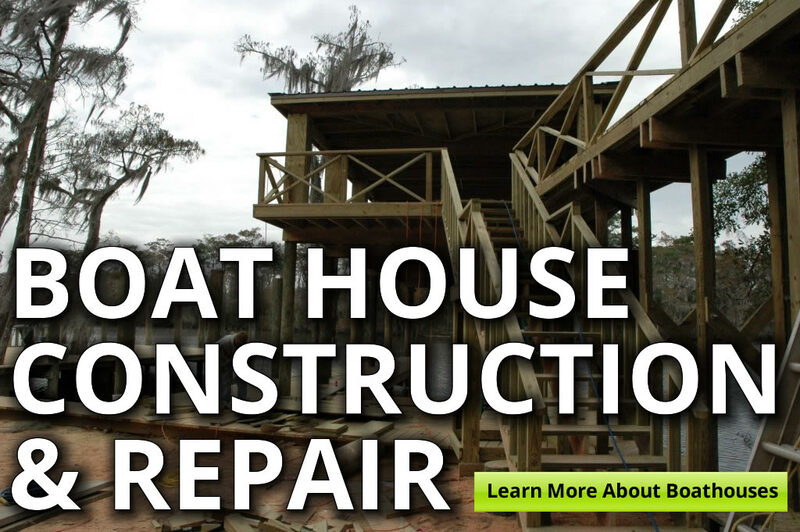 Slidell, Mandeville, New Orleans, Madisonville, Lafitte, Chalmette, Hancock County, Gulfport, Harrison County, Biloxi, Ocean Springs, St. Tammany Parish, Orleans Parish, Jefferson Parish, St. Charles Parish. 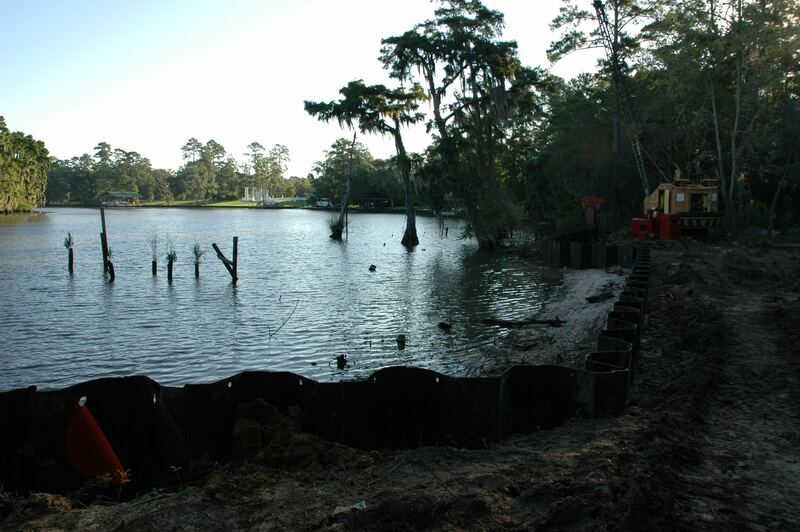 Gill’s Crane & Dozer Services, Inc.